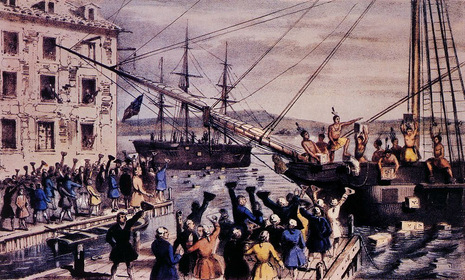 The incident, which took place on December 16, 1773, was a major catalyst of the American Revolution and remains an iconic event of American history. 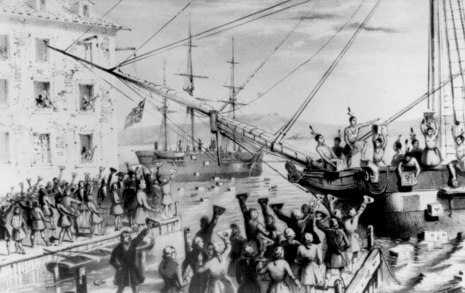 On Tuesday last the body of the people of this and all the adjacent towns, and others from the distance of twenty miles, assembled at the old south meeting-house, to inquire the reason of the delay in sending the ship Dartmouth, with the East-India Tea back to London; and having found that the owner had not taken the necessary steps for that purpose, they enjoin'd him at his peril to demand of the collector of the customs a clearance for the ship, and appointed a committee of ten to see it perform'd; after which they adjourn'd to the Thursday following ten o'clock. They then met and being inform'd by Mr. Rotch, that a clearance was refus'd him, they enjoye'd him immediately to enter a protest and apply to the governor for a pass port by the castle, and adjourn'd again till three o'clock for the same day. At which time they again met and after waiting till near sunset Mr. Rotch came in and inform'd them that he had accordingly enter'd his protest and waited on the governor for a pass, but his excellency told him he could not consistent with his duty grant it until his vessel was qualified. The people finding all their efforts to preserve the property of the East India company and return it safely to London, frustrated by the sea consignees, the collector of the customs and the governor of the province, DISSOLVED their meeting.--But, BEHOLD what followed! 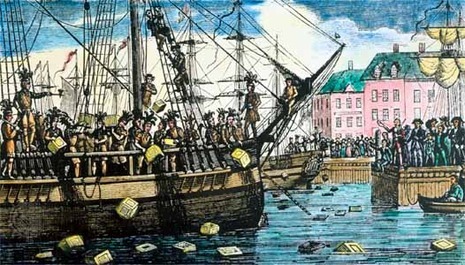 A number of brave & resolute men, determined to do all in their power to save their country from the ruin which their enemies had plotted, in less than four hours, emptied every chest of tea on board the three ships commanded by the captains Hall, Bruce, and Coffin, amounting to 342 chests, into the sea!! without the least damage done to the ships or any other property. The matters and owners are well pleas'd that their ships are thus clear'd; and the people are almost universally congratulating each other on this happy event.